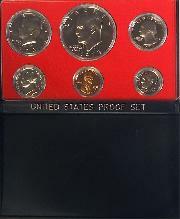 Coins from U.S. Mint Proof Sets are coins which have gone through a proof method of manufacture. This method of manufacturing produces a coin with sharp details, high edges and mirrorlike surfaces. To achieve these results, the mint spends a great deal of time selecting near perfect dies. These dies are then highly cleaned and polished. They are cleaned and polished again, after every 15 to 25 strikes, and they are replaced frequently to ensure that no imperfections exist due to worn dies. The blank coins are also cleaned and polished to ensure a clean, high quality strike. Each blank is struck at least 2 times to ensure that the relief details are of an utmost quality. 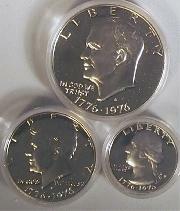 Finished proof coins are inspected at least twice before being sealed in special plastic sleeves or containers. In 1857 the U. S. Treasury discontinued issuing large copper cents in order to produce the smaller coin diameter familiar today. This led to nostalgia for previous coins and a desire to collect complete runs of available dates while they could still be found. 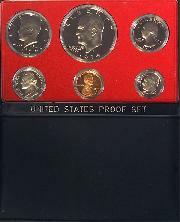 As a result, the Treasury began to routinely issue Proofs for collectors. A year later, in 1858, Mint Director James Snowden established rules and regulations concerning the sale of Proof coins to the public. 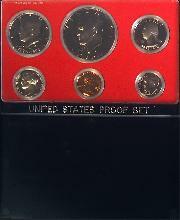 A great interest and enthusiasm for collecting Proof coins ensued but little attention was paid to packaging. This ended in 1916 when the U.S. stopped the sale of Proof coins because technical problems delayed the production of new dimes, quarters and half dollars. 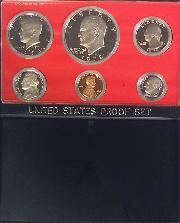 Proof coin production did not resume until 1936. Collectors and the public however, were disinterested, perhaps because of the economic collapse of the Great Depression and the horrors of World War I. 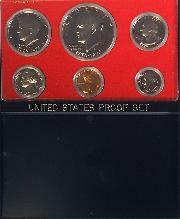 In 1942, World War II forced an end to the proof coin program. 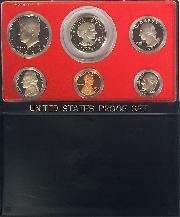 Collectors protested the hiatus, but no Proof coins were struck until 1950 when Proofs could be purchased as complete sets. Also In this year, for the first time, packaging was standardized. 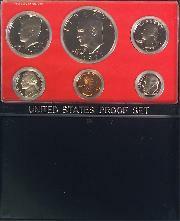 The vibrant economy of 1964 created a coin shortage which, coupled with the hoarding of uncirculated coins, caused the Treasury to stop making Proof Sets. 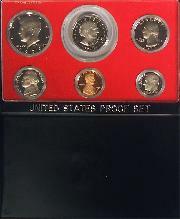 From 1965 to 1967 there were no Proof Sets issued but Special Mint Sets were issued which were of better quality than those coined in regular production, but below the quality of true Proofs. 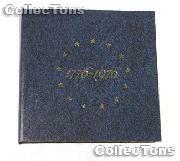 Production of Proof Sets moved in 1968 from the Philadelphia Mint to the San Francisco Mint, where it has remained to this day. Interested in learning more about Proof Coins? Looking for a great gift idea? Why not a birth year set?